Day 634: Are you a peace-loving person? For context, I suggest listening to this dove interview (part 3), highly recommended, how to end war, violence within self, because you see, you may shout and scream all the peace you want, but if that peace doesn’t exist in you as you, then, you can’t create peace in your life or in your world. At times of war and conflicts (now this is more like our permanent state of affairs worldwide), protesting against war, marching for peace etc is not only reactive but also fashionable/counterproductive. It’s like cool “I am a peace-loving person”, even got that bumper sticker to prove it, “make love, not war” etc, all the while violence, rage, anger, war exist within self in varying degrees as thoughts, emotions, imaginations, feelings and wishes. 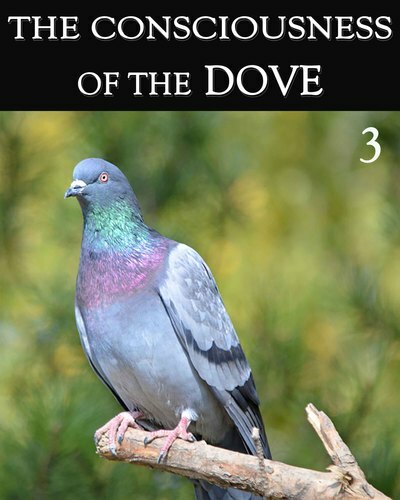 So the dove has some interesting things to say about that thru the portal, how to stop participating in violent thoughts, angry war like thoughts etc, and how to create peace for self and then create peace in this world. I forgive myself that I have accepted and allowed myself to see myself as a ‘peace loving person’, not seeing/realizing that thoughts of rage, violence, and anger exist in me as me. I forgive myself that I have accepted and allowed myself to take pride in the fact that I am a peace-loving person, in that feeling so good about myself, all lovey/dovey, like I am floating in a cloud of peace, while secretly war rages within myself. I forgive myself that I have accepted and allowed myself to coin terms like “war for peace”, not seeing/realizing how delusional this is, how can WAR create peace? In this I forgive myself for accepting the brainwashed idea that “war for peace” is valid and possible. I forgive myself that I have accepted and allowed myself to not see/realize, peace has become a business, a career, a consumer product, a market, it can be traded, and in whose name wars can be declared, within this I forgive myself for not seeing/realizing how NGOs and other arms of the ruling elite, have turned peace into a business while millions still rot in hell waiting for ‘peace’ to arrive. I forgive myself that I have accepted and allowed myself to not see/realize, war can only exist because I have allowed war within myself and no thing called peace exist in me. I can only create what I am and as such, I can only create war, because peace is nowhere to be found in me. I forgive myself that I have accepted and allowed myself to not see/realize, peace is also a spiritual product, used to feel good, feel all lovey/dovey and positive/hopeful, within emotions and feelings, no reality/substance whatsoever. I forgive myself that I have accepted and allowed myself to accept the notion of “holy wars, or wars in the name of GOD”, the most peaceful one, within this I forgive myself for not seeing/realizing the insanity of going to war in the name of GOD. I mean, aren’t we all GOD’s children, including the infidels, so by going to war against the infidels, we’re killing GOD’s children, hence must be a very hurtful thing to do to a GOD-parent. I forgive myself for allowing such insane concepts like ‘holy wars’. I forgive myself that I have accepted and allowed myself to not see/realize all these insane ideas about peace and creating peace are born out of violent minds, because peace is nowhere to be found in the deep chambers of minds like mine, where war rages on secretly and silently. I forgive myself for praying for peace, while doing nothing to stop the war within myself as thoughts, emotions and feelings. I forgive myself for hoping for peace. I forgive myself for marching for peace and protesting war, while not stopping the war within myself. I commit myself to realize that war rages on because there exist no peace within myself, I can only create what I am. Hence I commit myself to first stop the raging war within myself as thoughts, emotions and feelings. I commit myself to stop the war against life in all forms and shapes, and I do realize this starts with me, as I stop the war within myself as thoughts, emotions and feelings. When and as I see myself ‘in war’ within myself, with myself, I stop, I breathe, and not allow thoughts, emotions and feelings of war rages on. This is where I first create peace. Then, as within so without, the inner peace will allow me to create the outer peace in this world. Otherwise peace is a business, an entertainment, an occupation, a reaction, a possession, a concept, an idea, a fashion while many millions die and the suffering continues.